Quantity of 12 spiders for use with the Warhammer game. All are same size of about one inch. All are unpainted plastic. 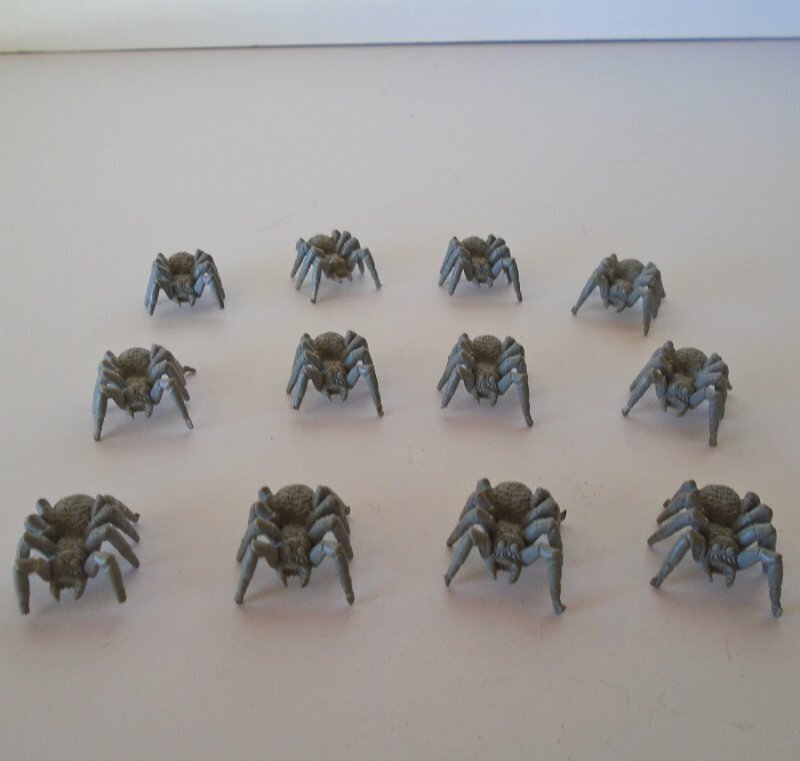 Offered in this listing are a quantity of 12 spiders used in the game of Warhammer. They are all exactly alike. All are unpainted. They measure about one inch. They are plastic.